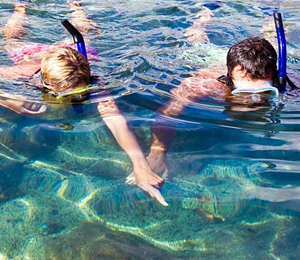 Cabo Pulmo is considered by many to be the best snorkeling and diving spot in the Cabo San Lucas area. Cabo Pulmo is a National Marine Park featuring over 350 varieties of tropical marine life. Cabo Pulmo is home to the only living coral reefs in the entire west coast of North America. I have been to the Bahamas many times, but Cabo Pulmo Snorkel Adventure is one of my favorite trips! It includes everything that everyone should do here. As a Bahamas veteran, I can say only the best about this experience!